Here's to a fabulous 2009! 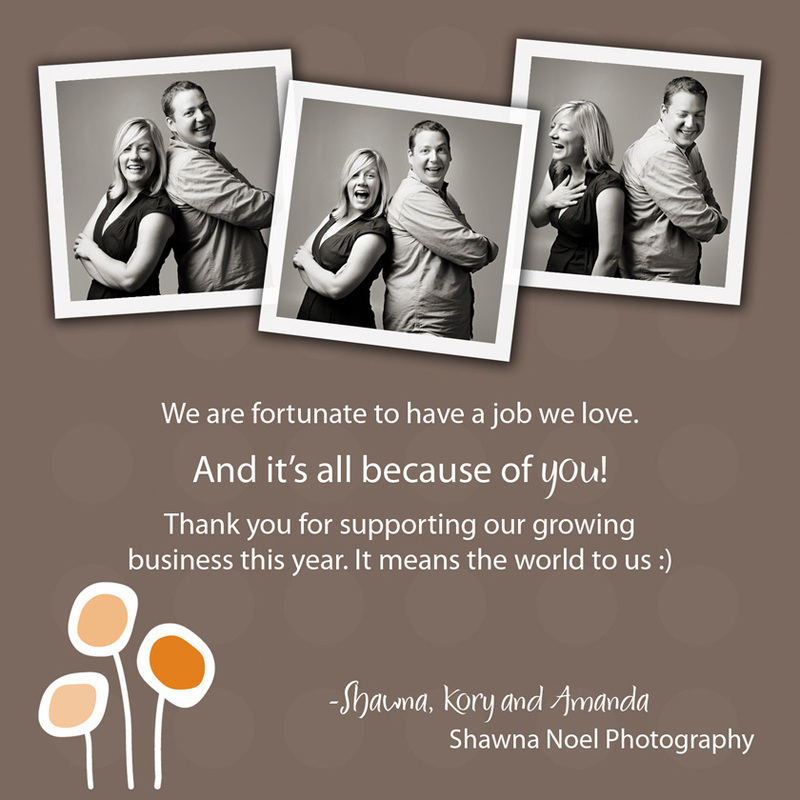 We've had quite a year here at Shawna Noel Photography! We are so grateful to have amazing clients, supportive family and friends, and jobs that make us excited to get out of bed in the morning :) To all of you out there in blogland, whether you are a friend, client, photographer, or general blog-stalker, thank you taking the time out of your busy schedules to read our little blog this year. It's so cool to hear from all of you in the comments, or to see that people are reading our blog from North Dakota to Washington to Australia to Mexico. 2009 is gearing up to be a great year! We are BOOKED for weddings in summer 2009. We have a couple dates open in November and December '09, but May-October we are booked solid. If you are looking for a photographer in summer 2009, we'd be happy to recommend other photographers in the area! Just shoot us an email at shawnanoel at gmail dot com.